EURUSD is falling down. There are several economic reports which will support and weaken EUR. 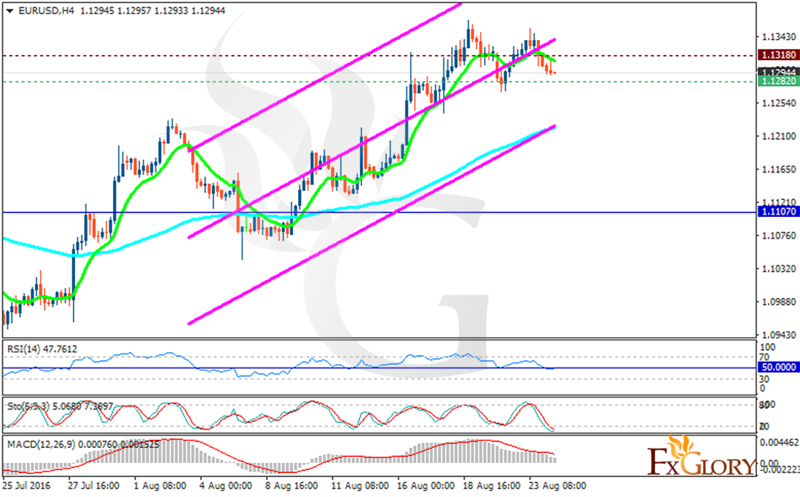 The support lies at 1.12820 with resistance at 1.13180 which both lines are above the monthly pivot point at 1.11070. The EMA of 10 is falling down towards the EMA of 100. The RSI is moving below the 50 area, the MACD indicator is in positive territory and the Stochastic has reached its minimum amount. It would be a good idea that traders give themselves a rest and wait for a better chart setup to decide on their positions.